This past weekend was so encouraging. Have you ever visited a homeschool convention or a family discipleship convention? Do you leave inspired and encouraged? I love the local convention that comes about every spring in Kansas City. It's just the thing my husband and I need to motivate us to keep running the race with our family. 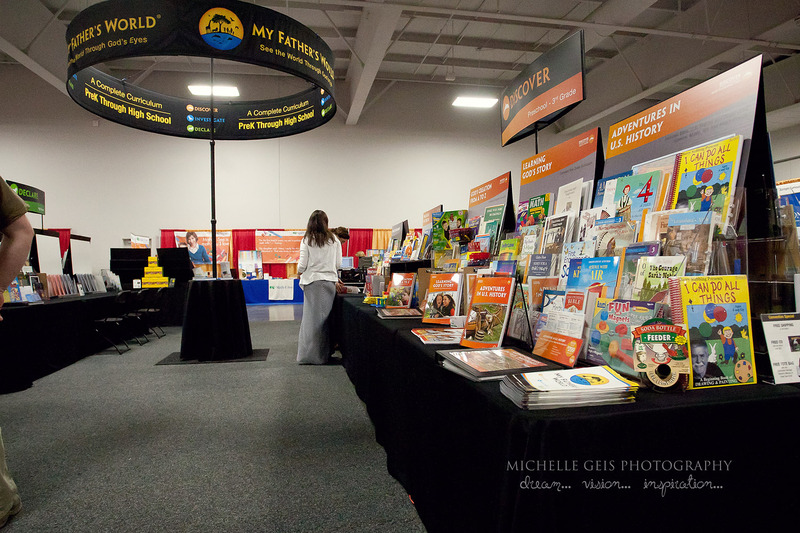 This year I spent most of my time at the My Father's World curriculum booth. It has been my favorite place at the whole convention since my first convention many years ago. Isn't it organized and attractive? 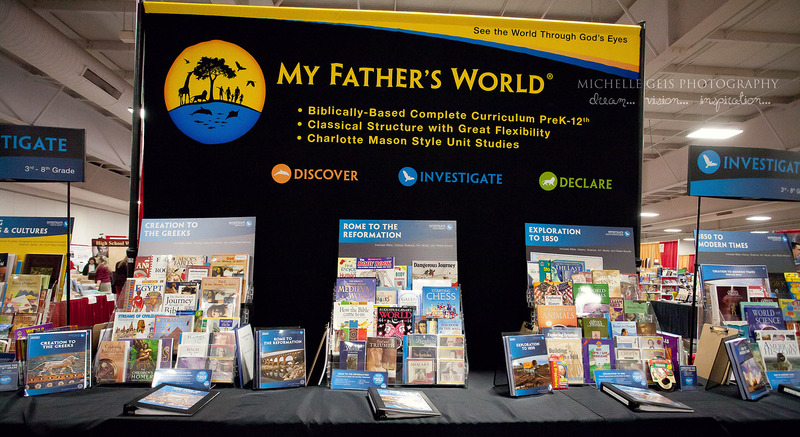 We have been using My Father's World since we began our homeschool journey 6 school years ago. We started with Kindergarten and have completed all the curriculums (at least once) up through fifth grade (Creation to Greeks). I am very familiar with these younger years and know how to work with both advanced students and struggling students. But 6th grade and beyond? Well that is going to be new territory for me. 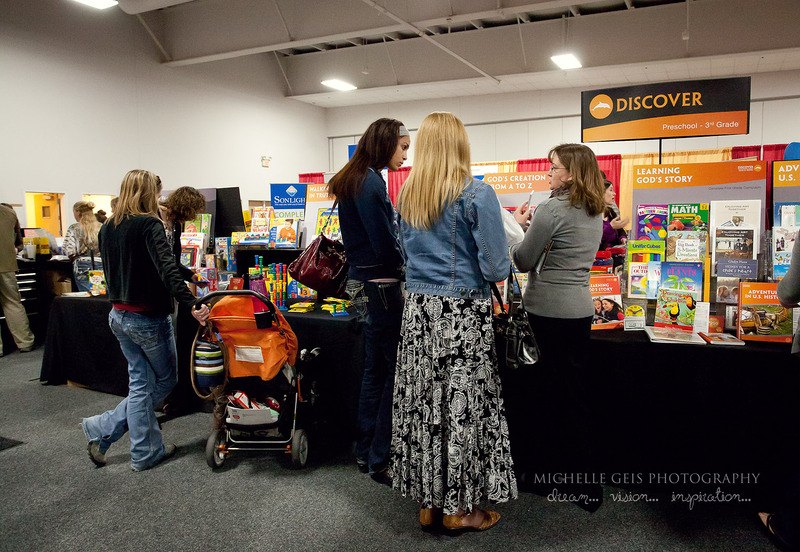 This weekend I was able to listen to a few moms who are a little farther along in homeschooling than I am. 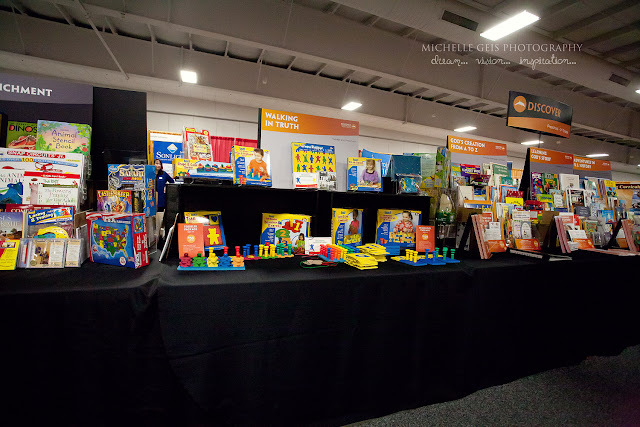 They were working at the booth and to me, they were like a treasure chest of information, ideas and encouragement. What a blessing to be able to learn from others who are in and beyond the trenches! I am definitely feeling more confident and excited about preparing for our next year of school. While I was there, I took a few pictures. Allow me to give you a tour of my favorite spot at the convention. The My Father's World booth is typically nice and spacious. (At least the booth at the Kansas City convention has always been spacious and beautiful.) This picture was captured at the opening of the convention. 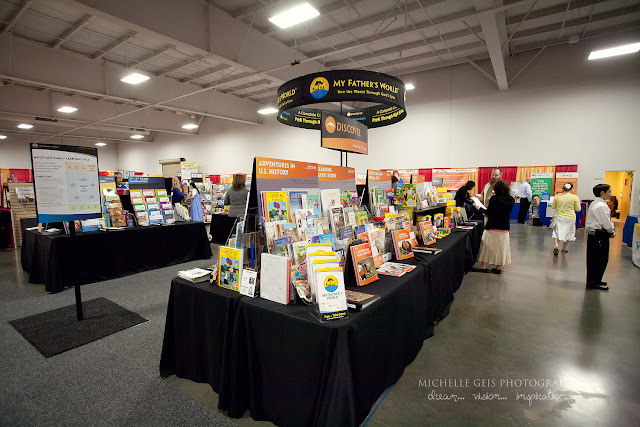 During the convention, most of this space was filled by families gathering copious amounts of encouragement and information, as well as those who were placing their orders. See those chairs on the right? They even provided chairs for families to sit and peruse the many teacher's manuals at leisure. On the left side, the Toddler and Preschool packages were displayed and explained. Lots of little hands enjoyed playing tactile games while mommas read through the information or talked with My Father's World helpers. Always there was someone (at least one someone, usually more) ready to help. Kindergarten (God's Creation A to Z), First Grade (Learning God's Story) and Second Grade (Adventures in U.S. History) were all displayed so nicely. I have so enjoyed all of these curriculums. I am about half-way through with my third round of Kindergarten and I have loved it more each time through. It's fun and so flexible. My oldest was reading well the first time I went through and it worked so well for her. The next time through, with my oh-so-active son, worked just as well, albeit differently. Marie Hazell (the author of My Father's World curriculums) has included many extra tidbits into the teacher manuals to make these curriculums so easily adaptable to different abilities and personalities. My youngest will be going through First Grade (Learning God's Story) this fall and I cannot wait!! I just upgraded my older teacher's manual for the new one and it will be here any day now. After first grade, she will skip Adventures and jump into the 5 year history cycle with her brother and sister. 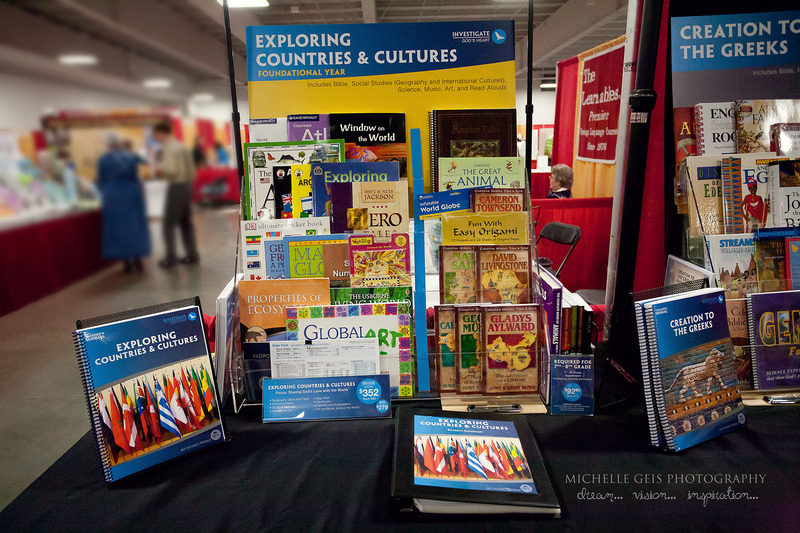 The 5 year history cycle typically starts with Exploring Countries and Cultures. And that is where we started last year when my oldest homeschooler was in fourth grade. It is a fun, foundational year that gives the children (and teacher) a wonderful snapshot of the world. Geography games, missionary studies, and people group / culture investigation - this is a rich, interesting curriculum. Now my son jumped into this cycle after first grade at Creation to Greeks and has done very well. I have definitely enjoyed having my oldest two homeschoolers studying within the same core curriculum. I love having everyone curled up together on the couch for Bible, history and read alouds. School doesn't seem like as much work with there is steamy coffee and blankets involved. When we first started, read alouds were a bit more of a struggle, but my voice has strengthened over the years and now they are pure joy. Each year I am logging precious hours curled up with my children and so many excellent books. This fall we will be moving on to Rome to Reformation while my youngest works through first grade with me. And then on to Exploration to 1850, where all three little ones will be working together. There will be much dancing in the living room that year. 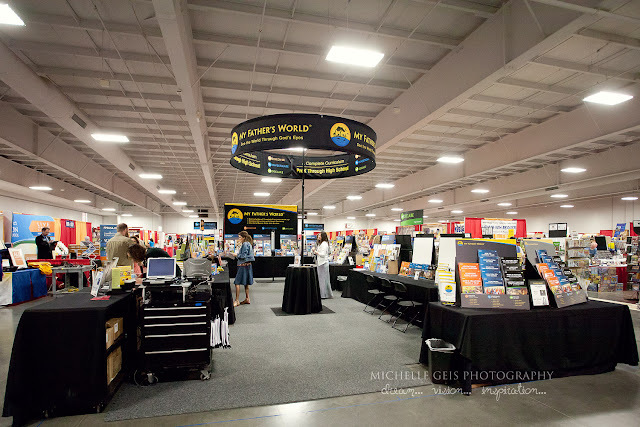 On the right side of the booth, families were able to peruse many Progeny Press and other language arts options. This is where I learned a LOT this past weekend. Gentle advice based on excellent experience is worth so much to me. One of my children has very strong language arts abilities and interests and I was worried about keeping her challenged in the present and coming years. I wasn't well informed about how to use the recommended language arts studies (or any LA studies) to educate and encourage such a student. With so many fresh ideas, I am confident we can work through the coming years just fine. Now on the back side of this row is where all the My Father's World Highschool curriculums and electives were displayed. I confess that I avoided that section. 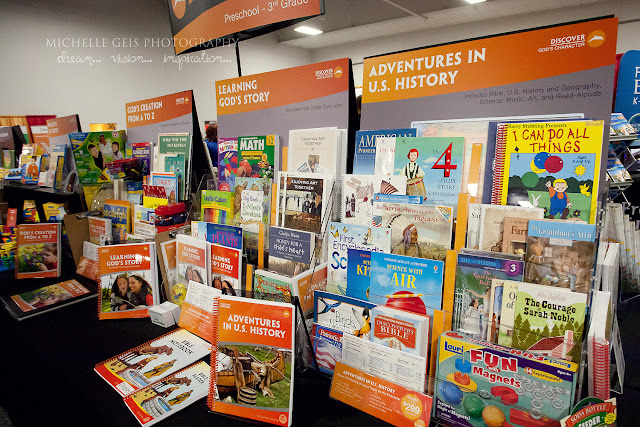 Next year - well next year you will find me knee-deep in that section - studying out everything I can get my hands on and asking dozens of questions. This year I kept my distance. 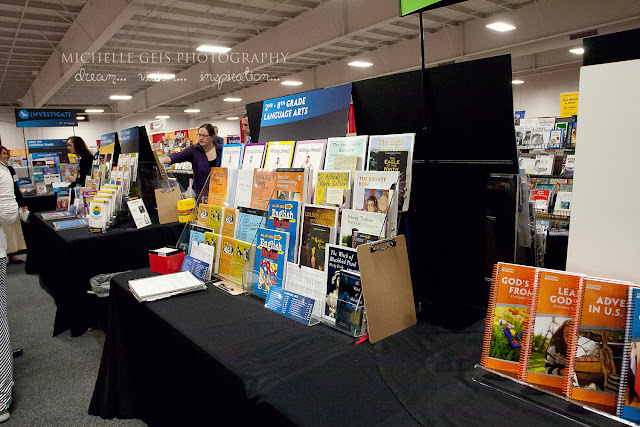 If you are considering homeschooling, be sure to visit this booth at your local homeschool convention. I remember how overwhelmed I felt those first few years of preschool and kindergarten. Each year since finding My Father's World, my confidence and ability to homeschool has just grown. Everytime I have visited their booth or called the customer service line, I have been encouraged, educated, and inspired. That's how I know we are using just exactly what we need to be using. Well that, and how well my children are learning and growing and loving school. By the way, in case it matters, this is not a paid endorsement. I was not paid to take pictures or blog about this. I'm only sharing in hopes to aid and encourage others who might also be on this journey of parenting and schooling. 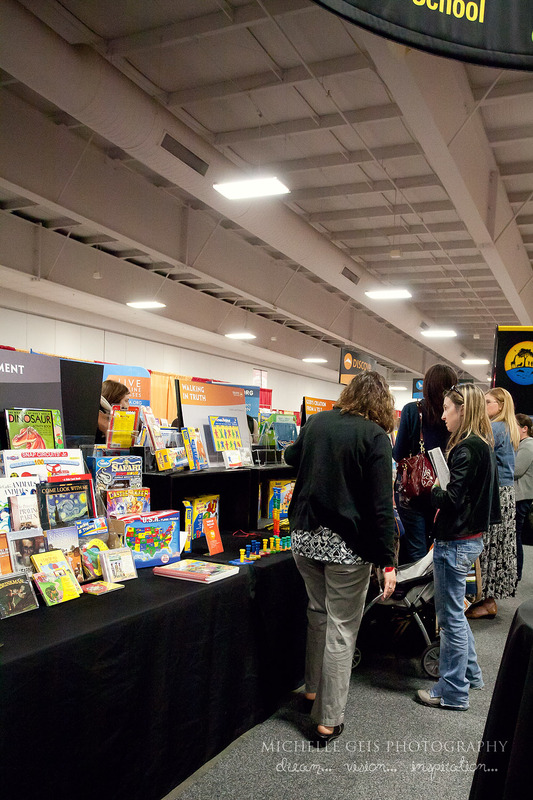 Check here to find out information about the 2014 Midwest Parent Educators Convention in Kansas City. It is not posted at this time, but is scheduled for the first weekend of April 2014. Check the My Father's World website to find other conventions they will be visiting. I found your blog from the MFW forum through a link about your organizing binders.. Anyway, I was here at MPE the same weekend! I absolutely loved how MFW, MUS and Rainbow Resource where all in the same spot. I almost didn't go to any other booths! Thanks for stopping by! Hope to see you this year. I know! I love those three booths. Hope to see you in 2014! I'm so sorry I didn't see this comment until now. Thank you so much for stopping by! Yes, that About Me - I really do need to make more time for blogging. Someday!! !